Model 060-0300 Flush Mount Security Lock offers true deadbolt functioning and is also adaptable to power lock actuation. It features KeyOne Plus locking system that allows operation of multiple onboard locks with single key, but option to key each component differently is also available. Universal design is non-handed and gasket is pre-applied, simplifying installation. 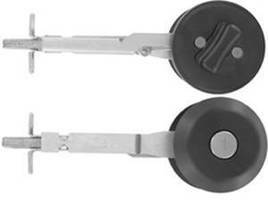 Lock is also available in kits with handles, latches, and accessories. o Easy to install, the universal design is non-handed and the gasket is pre-applied. System kits are available and include handles, latches and accessories to provide a comprehensive access solution. TriMark Corporation is an employee-owned company who is the recognized leader in the design and manufacture of quality vehicle hardware products for the RV, agricultural, off and on-highway, and construction markets. The TriMark headquarters and manufacturing facility is located in New Hampton, Iowa. For more information on TriMark Corporation go to www.trimarkcorp.com. Paddle Handles suit FMVSS 206 applications. Pull Handle features remote pivot and cam lock actuation. Remote Inside Release facilitates door opening/closing. 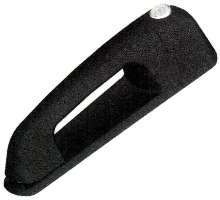 Pull Handle suits off-highway vehicle applications. 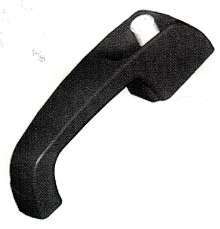 Push Button Handle fits off-highway vehicles.